The “Roadworks 10”. Tuesday 7th August at 18:30. 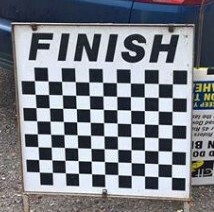 Sign on at the Finish Line from 18:00. A call for entries will be made via a poll on Facebook as usual, on Thursday.